Breathtaking vistas, enchanting people, wonderful food, and kangaroos. That sounds like vacation to me! Our once-in-a-lifetime holiday began with a call to American Express Travel, who booked our entire three week trip through Princess Cruise Lines. 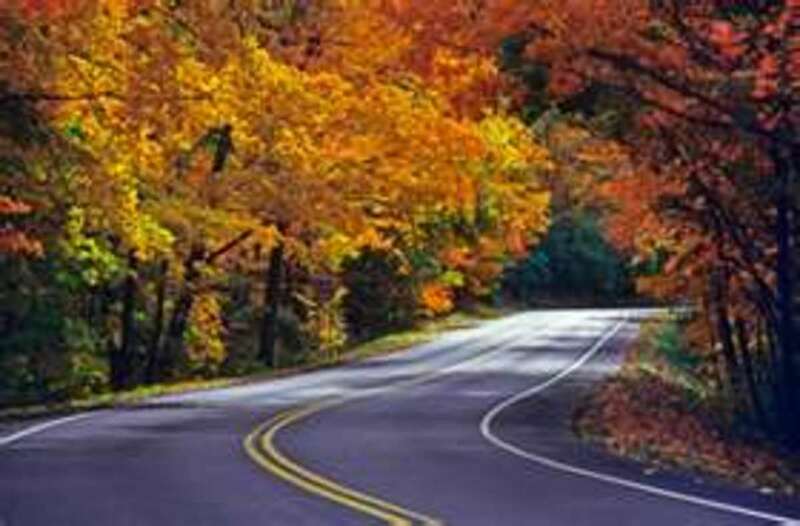 The first part of the trip would be a seven-day land tour of Australia, including the Outback and the Great Barrier Reef. 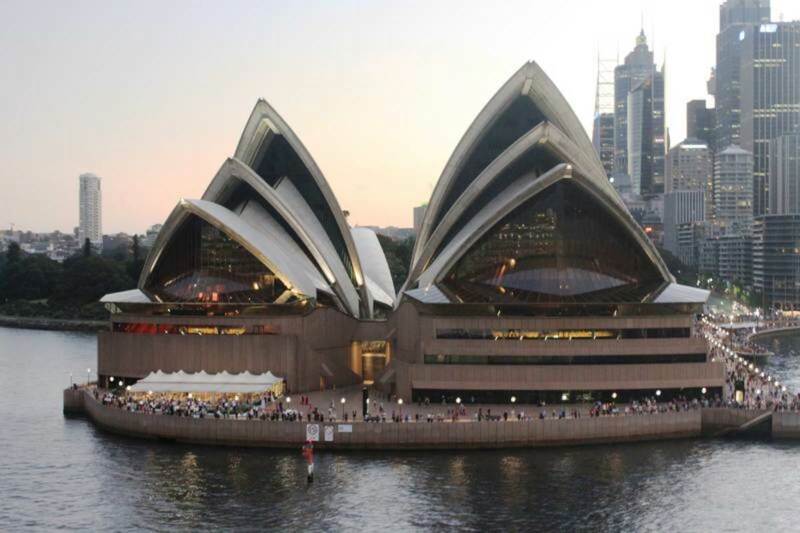 The second part of the trip would be a 12-day cruise of Australia and New Zealand aboard the Diamond Princess. During the land portion, buffet breakfast was provided every day. Lunch was provided on the Sydney boat tour and the Great Barrier Reef. No other lunches or dinners were included. I found every aspect of the trip to be expertly handled by Princess Cruise lines. Note: This is a very long piece, so I've divided it into three parts. Part I (this article) is about the land tour, and subsequent parts will be about the cruise. We started our long journey to Sydney, Australia with a snowy car ride to Kennedy Airport in New York. Then a five-hour flight on American Airlines to Los Angeles with a three hour layover. The last leg was a 13 1/2 hour flight on Qantas to Sydney. For the purpose of brevity, I'll leave out the part about the emergency landing in Brisbane. We arrived in Sydney on a sunny and warm afternoon in January, a welcome sight from wintery New York. We were slightly delirious, but warm and happy to be on firm ground. Our tour guide, Olive, met us in the airport and herded us into buses for the ride the Four Seasons Hotel in Sydney. Olive pointed out some sights along the way and handed out our itinerary for the evening and the next day. After checking in, we were free to roam the city. Our roaming was limited by our exhaustion to going a few blocks and having a couple of beers in an outdoor cafe overlooking the famous Sydney Opera House. We didn't know it, but 8 days later, the Diamond Princess would be leaving from this very same dock. We had dinner in a pub near the hotel. Tip: Most pubs have no wait staff, so you have to order your food at the bar, and pick it up when it's ready. Day two: After breakfast, our group met for a half-day bus tour of Sydney and outlying areas. Traffic is surprisingly light from a New Yorker's point of view, but that's because the total population of Australia is only 24 million. The modern highways in and around Sydney were virtually empty. The bus stopped at a park with a scenic overview of the harbor for a photo opportunity. There were great views of the city and the harbor. Some Interesting and exotic birds were wandering around the park as well. 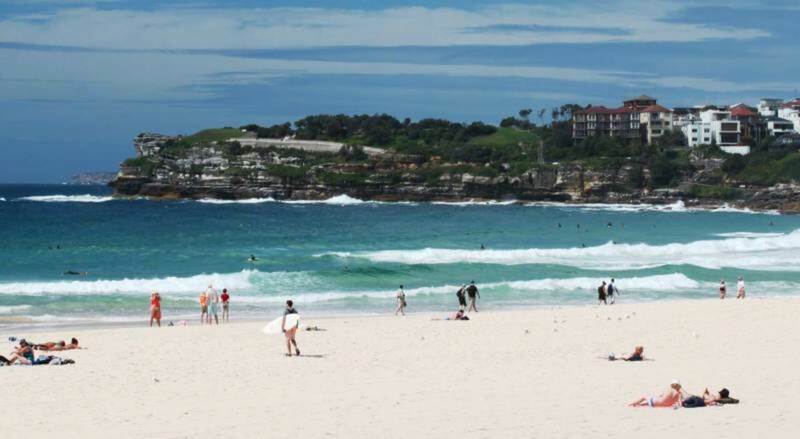 After the park, we headed to the famous surfing haven of Bondi Beach. We had an hour or so to walk around and experience the beach. Next on the agenda was a tour of Sydney Harbour by boat. 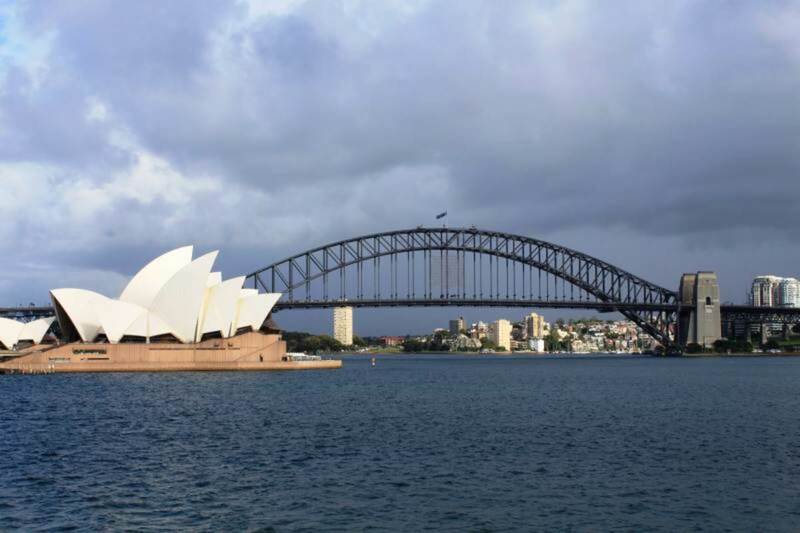 This was a great opportunity to take pictures of the Opera House and Harbour Bridge. A nice buffet lunch was served. We were on our own for the evening and we had dinner at a pizza place a few blocks from the hotel. This was a bit of culture shock for me. The food was very good, but the portions were very, very small, and very expensive. The bill for the two of us was $80 and we both left hungry. Note: During the whole 7-day land tour, the drivers and tour guides made sure there were adequate stops for bathroom breaks, so don't let that be a concern. The median age of the group was probably around 60. After breakfast at the hotel, we boarded a bus for Sydney airport. The baggage, ticketing, and clearance were all handled expertly by the tour. Our Qantas flight to Cairns, Australia took about 3 hours. 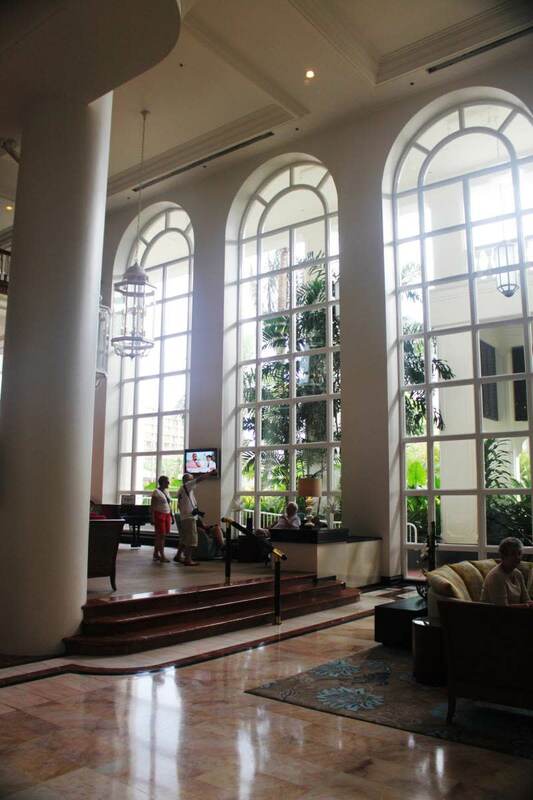 We arrived at our hotel, The Sebel, in the early afternoon. After checking in, we were on our own for lunch. Cairns is a charming little city that seems like a place that Jimmy Buffet would like. Woolworths, which has all but disappeared in America, is a big supermarket chain in Australia. It's a great place to pick up snacks and things you may have forgotten to pack, like sunscreen, bathing suits, umbrellas, etc. They also have some computers with Internet access that you can rent by the hour. It's very cheap - I think it was about US $5 for 120 minutes. This is a great chance to catch up on email and upload photos to Facebook. Most hotels have Internet access but it is prohibitively expensive, so this is a better way to stay in touch.. You can pick up some local wine and beer in a shop right next door to Woolworths. There are many casual restaurants to choose from in Cairns, and take-out food is available at the Night Market, which is like an indoor flea market. A word of warning: nearly all shops close precisely at 5 pm so do your shopping early, or you will be restricted to the shops at the Night Market. Across the street from the Sebel Hotel is a small casino. Next to that is a small zoo where you can have your photo taken while holding a Koala (not cheap, but how many chances will you get to hold a Koala?). A cool thing to watch is the movement of hundreds of thousands of giant bats at sunset. In the movie "Crocodile Dundee" they refer to them as "giant vampire bats", but they're actually fruit bats. Every evening they leave the trees in Cairns and head out to the forest to feed on the wild fig trees. It is very impressive to watch. 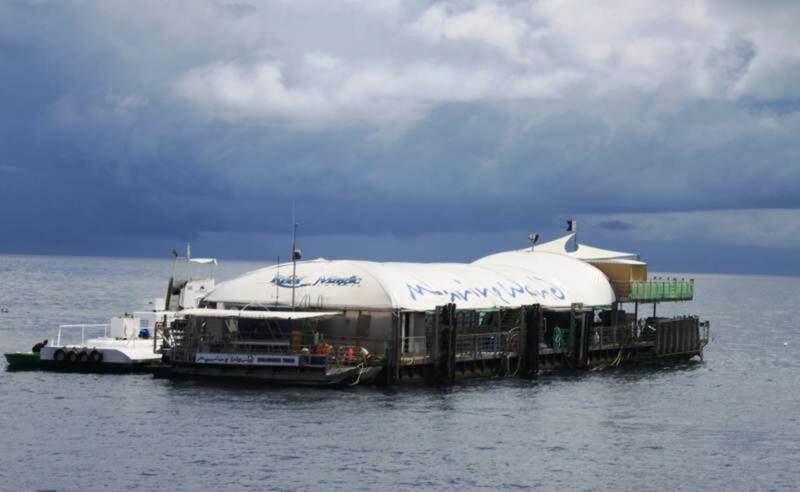 As nice as Cairns is, the primary reason for going there is get to the Great Barrier Reef. Our tour bus picked us up at the hotel and drove us about 3 blocks to the marina where our ship awaited. The ship was a very comfortable twin-hull vessel with seating indoors and out. The trip to the reef takes about an hour and a half. Coffee and refreshments were served free of charge. The ship ties up to a platform that is anchored to the reef. Passengers debark the ship and board the platform, which is covered with an awning to keep you out of the sun. The platform is fairly large and there are bathrooms, changing rooms, and many picnic tables. Snorkeling equipment is included in the package, as is instruction. There are additional excursions that you can sign up for an extra fee. Helicopter and submarine rides, scuba lessons, and the Snorkeling Adventure, which involves a boat ride from the platform to a spot at the edge of the reef. 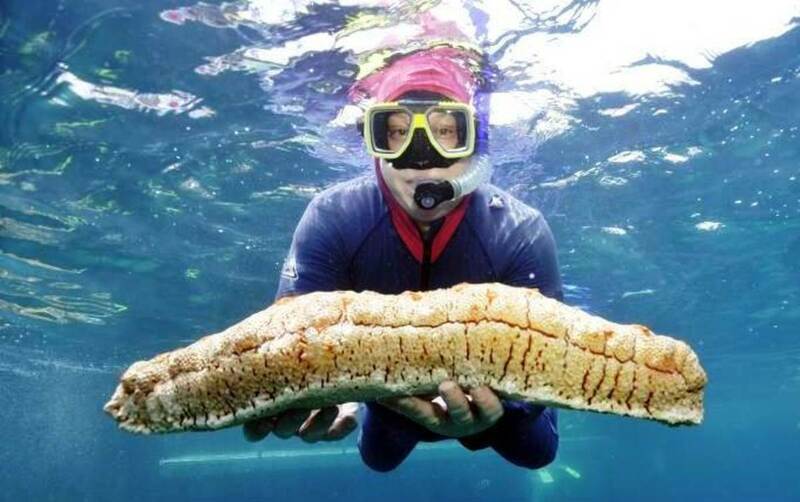 I hadn't been snorkeling in more than 30 years, but I decided to give it a go and am glad I did. The views are spectacular. 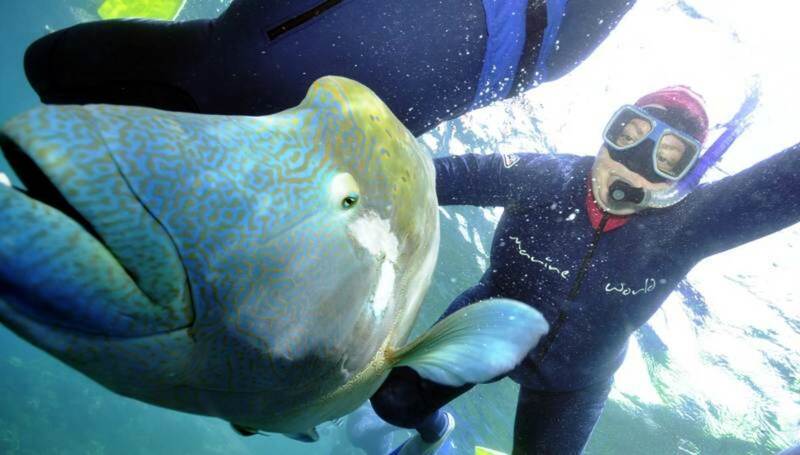 Brightly colored fish, some tiny, some nearly as big as you, are in sight as soon as you put your face in the water. Unless you're young, snorkeling is exhausting. There is plenty of time to relax or take a submarine tour. A nice buffet lunch was served on the platform. A photographer in scuba gear takes photos of everyone in the water. Those photos are offered for sale during the ride back to Cairns. Back at the docks, we opted to walk the few blocks to the hotel, stopping at the casino along the way. Wine and cheese in our hotel room was enough for dinner before hitting the sack. After another well-organized trip to the airport, we boarded a Qantas flight to Ayers Rock. As the plane descended for landing, you could see the vivid orange and green colors of the Outback. This has been an unusual year for rainfall in the Outback. 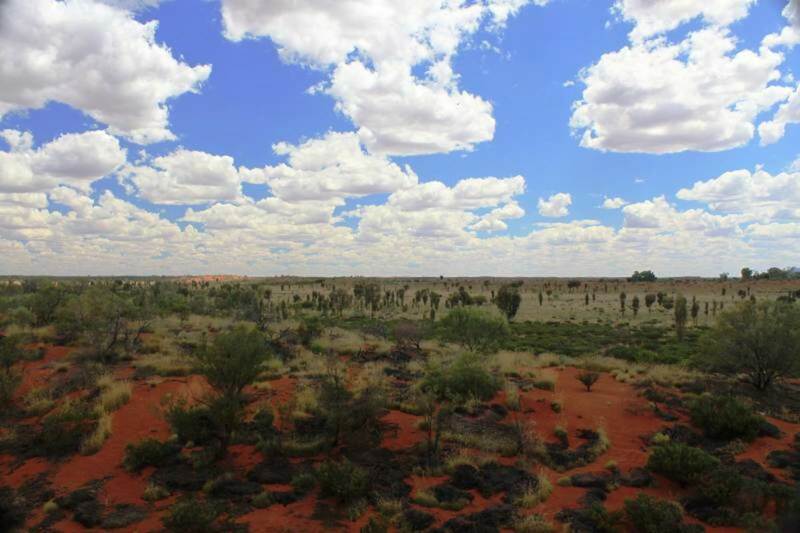 Normally receiving about 3/4 of an inch of rain per year, the Outback received over 40 inches. 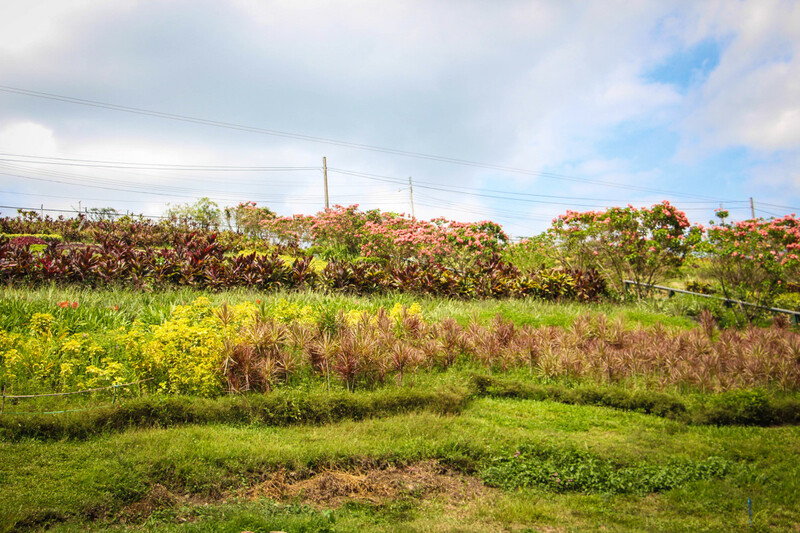 The green shrubs, the orange soil and the clear blue sky made the scene spectacular. After settling in at our hotel, The Sails, we boarded a bus for a tour of Ayers Rock (Uluru) and Kata Tjuta. 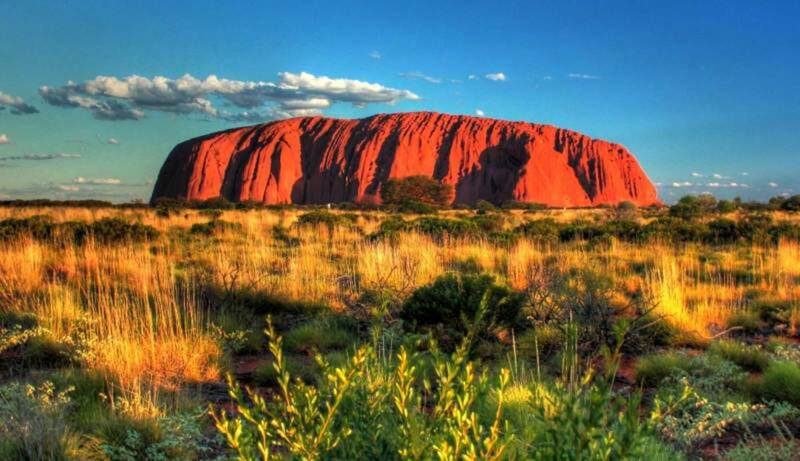 Ayers Rock, which is known by the Aboriginal people as "Uluru" is a spectacular sight. Sitting alone in the vast desert scape, its bright red visage appears to be a piece Mars on earth. Kata Tjuta is another unusual formation that's about 15 miles away. 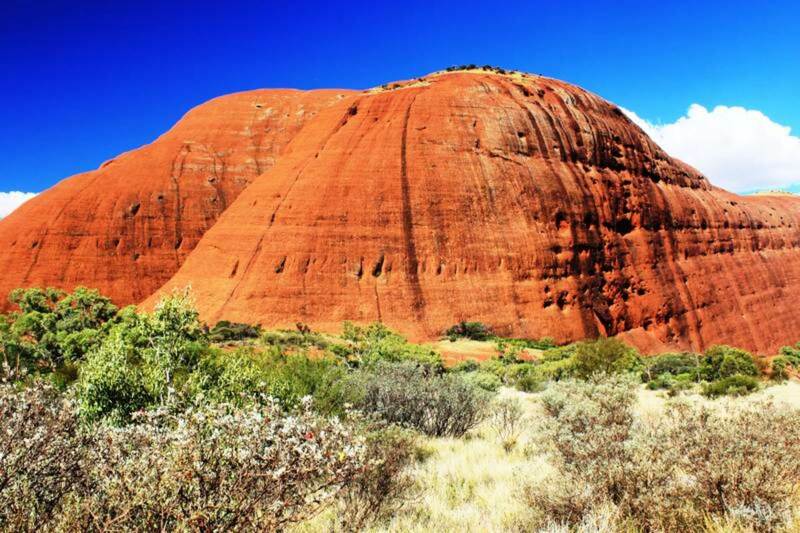 Instead of one giant rock like Uluru, Kata Tjuta is a series of enormous rocks. Along the way you can see some of the many wild camels that inhabit the Outback. They're not native to Australia, but have adapted well since being released after the railroads were built. After touring Kata Tjuta, we headed back to Uluru to watch the sunset. A table was set up with cheese, crackers, Champagne, and soft drinks. Folding chairs were provided. The setting sun turned Uluru from orange to deep red. You definitely need to put this on your bucket list. We headed back to the hotel and had dinner at the Pioneer Restaurant, an outdoor eatery where you buy meat (beef, chicken, Kangaroo, Camel, or Crocodile) for your meal and cook it yourself. Claim a picnic table and send one of your party to buy the meat and someone else to the bar to get the drinks. The cooking area has enough large, hot grills ready for use, so there is no waiting in line once you have the raw food. A nice selection of hot and cold side dishes is provided. The temperature was nearly 100, but the beer was nice and cold and live music added to the ambiance. The following morning, we headed out to Uluru again. This time we went to the Aboriginal Cultural center to observe some native rituals and daily life, before boarding the bus for Alice Springs. 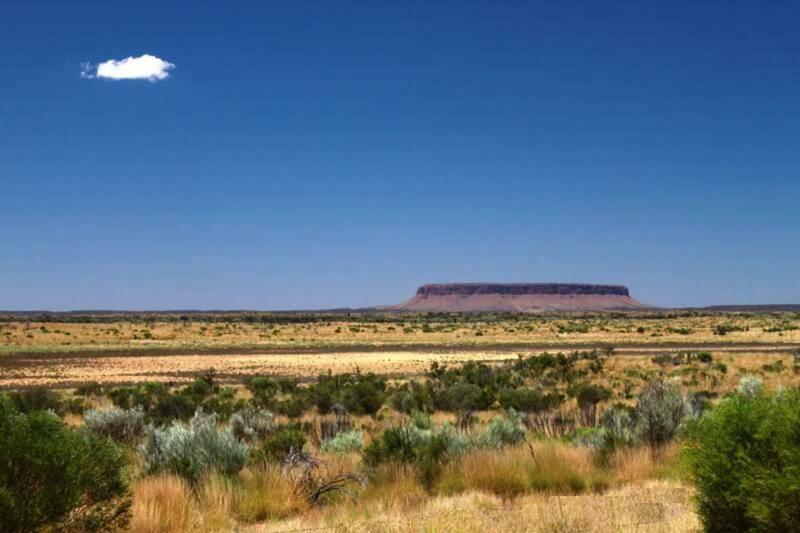 Alice Springs is the closest town to Ayers Rock. It lies 300 miles to the north. Along the way we stopped to take pictures of Connor's Rock - another very interesting geologic formation. We stopped for lunch at a small restaurant/gas station and again at a camel ranch. For a small fee, you can ride a camel. I saw some young men walking funny after their ride, so I opted not to try it. The women didn't seem to have any problems. 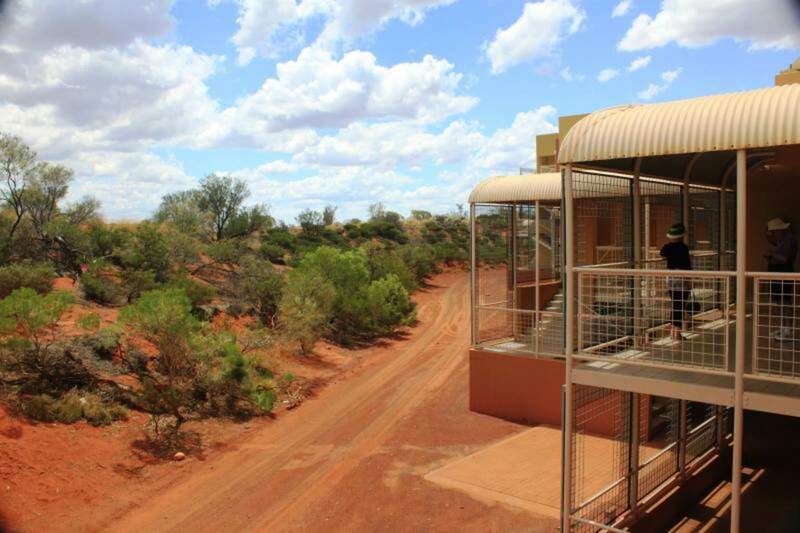 Alice Springs is a small city on the edge of the Outback. 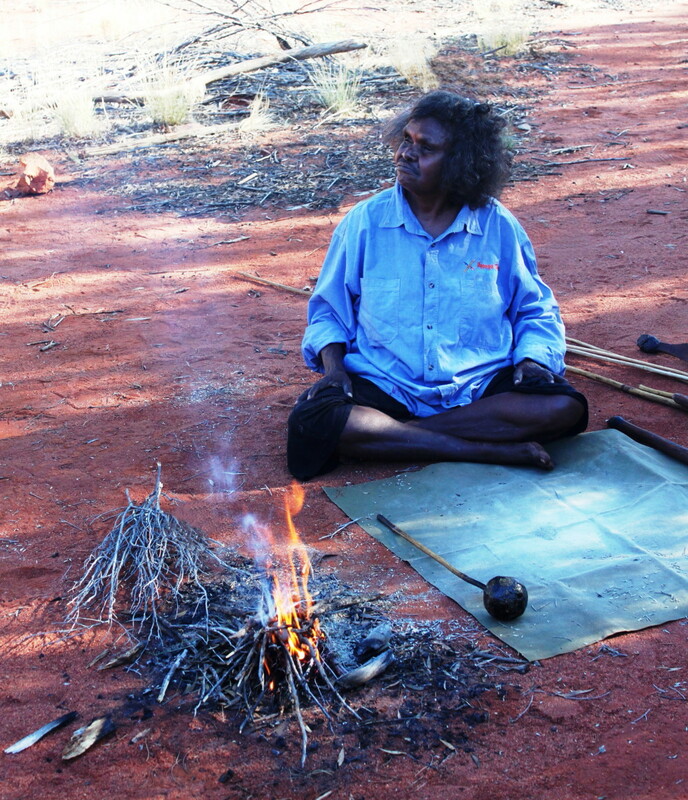 The campfires of Aboriginal people can be seen in the woods adjacent to the city. There is a small casino and a few nice hotels and restaurants. The following morning, we went to a small wildlife park. I didn't find Alice Springs to be too exciting, but I did enjoy seeing some kangaroos in the park. After the park we headed to the airport for our Qantas flight back to Sydney, where we would board the Diamond Princess for the cruise portion of our vacation. The package was booked through American Express Travel. The land and sea portions were handled by Princess Cruise Lines. I found every aspect of the trip to be handled perfectly. The hotels were all first rate, the tour guides and bus drivers were very knowledgeable and entertaining. 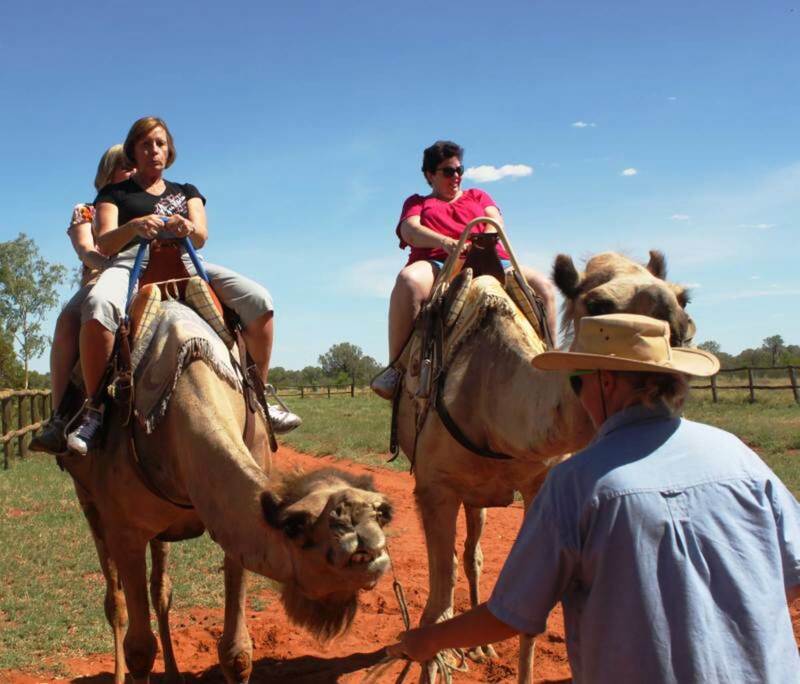 The Outback Adventure was just the right mixture of adventure and pampering. If you have the chance to take this trip, I highly recommend it. What is your favorite Australian animal? I've always wanted to go to Australia! This makes me want to go even more. Thanks for the nice comments. It was a fantastic trip. Wow. Great hub with excellent photos. Thanks for sharing such an interesting hub.